As the third largest producer of fossil fuels in the world, Algeria sits in perfect position to become a forerunner for forsaking fossil fuels for cleaner, more efficient form of energy. But, there are plenty of challenges facing the plans for Algerian energy transition. Due mainly to the financial wherewithal the government can afford but is unwilling to pay, the Algerian energy transition is advancing at a snail’s pace. This is the second article in a two-part series about the Algerian energy transition towards renewables and its energy sector, which provides a good case study as the world is experiencing a turning point in its energetic history. 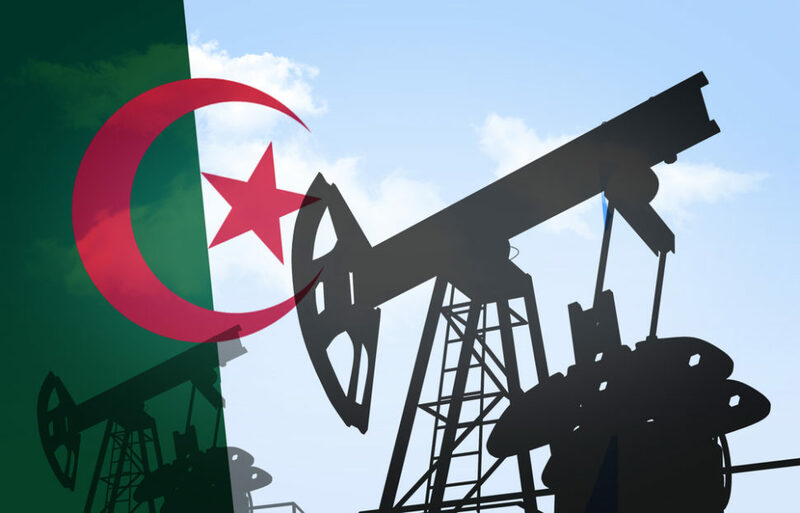 In the previous article, we discussed how Algeria’s going all-out on fossil fuels, conventional and unconventional types, with upstream and downstream projects, alone and with international partners. We also touched on Algeria’s indecisive engagement in regards to international climate agreements. While the global energy market is undergoing profound changes, the Algerian energy transition is advancing at a glacial pace. Even worse, the country seems to be backtracking on its previous clean energy promises and climate action commitments. As a UN member state, Algeria has taken part in all international “climate events”, and adopted several programs to face climate change. Algeria has submitted its INDC (Intended Nationally Determined Contribution) to the UN Framework Convention on Climate Change on 4 September 2015, ahead of the Paris Accords in December of the same year. Let’s knock down the ill-founded argument of “historical responsibility of GHG emissions”. Algeria does have a significant historical contribution to greenhouse gas emissions and to the climate challenge we’re facing today as a global community. Besides the country’s “low GHG-emitting” status, since the 1960s, it has exported enormous quantities of fossil fuels that were burnt elsewhere — and there are numbers to support this. If we take 2015 as a reference year, Algeria produces around 83 billion cubic meters of natural gas per year, and exports over the half (43 billion cu m), mostly to EU countries. It also produces over 1.3 million barrels of crude oil per day, from which it exports 800,000 to 1 million bbl/day. Not to mention condensate, Liquefied Petroleum Gas (LPG), and other refined products. Every year, Algeria releases over 200 million megatons of GHG into the atmosphere. While this makes it a mid-tier emitter, if we include its fossil fuel exports, which amounts to around three-quarters of production, the country would jump high on the list of polluters. Sure, emissions generated from these fossil fuels are accounted for in other countries, but Algeria can’t absolve itself of the moral responsibility. This applies to all oil-rich, low-emitting countries like Algeria that have touted the “historical responsibility” card, and which at the same time keep pumping fossil fuels into high-emitting economies through exports. A nation’s contribution to the global efforts to mitigate climate change shouldn’t be proportional to its local historic responsibility, but to its current capability, if only because climate change doesn’t distribute its distresses around the world based on history. In its IDNC, Algeria has vowed to cut its GHG emissions by 7-22% by 2030 compared to BAU levels (Business As Usual). The country pledges to reach 7% reduction threshold using its own means. It’s been over three years since this Algerian energy transition plan was submitted, so how far has it gone in the implementation? There are a lot of metrics to account for here, but the World Economic Forum’s Energy Transition Index (ETI) draws a good picture of the situation. In 2018, Algeria ETI score is 49%, with 62% for System Performance, and 36% for Transition Readiness. If that figure of Algerian energy transition readiness doesn’t give us an idea where things stand now for this country, in a recent study from the Algerian National Polytechnic School, researchers said that “so far, achievements are rather modest compared to the forecasts”. Mind you, to “forecasts” and not “potential”. According to the study, these achievements are a 1.1 MW solar power plant, a 3 MW solar plant, two (10 MW, 20 MW) wind farms, and a 150 MW hybrid plant (only 25 MW from PV). All in all, these plants produce 60 MW of power. The Algerian Energy Ministry has recently launched a new tender for 400 MW solar PV capacity. Why is it Hard for Algeria to Embrace Clean Energy? The Paris Agreement provided a starting point for the Algerian energy transition plan and the transformation towards a low-carbon economy. The government has defined a long-term climate strategy, supported by a multitude of laws and regulatory tools, and that, with the measly 60 MW solar capacity already installed aside, is pretty much it. But let’s cut Algeria some slack here! It is the financing of the energy transition for a country like Algeria that’s the biggest hurdle, especially with a changing economic context, marked by budget constraints due to the decline in oil prices from 2014 onward. In the case of Algeria, fossil fuels have a strategic importance that goes far beyond the purely ecological aspect, and this makes the situation much more problematic. Even if it could switch to 100% clean energy with a push of a button, Algeria won’t do it. Doing so would mean losing more than two-thirds of its budget revenues, and almost the totality of its foreign exchange earnings (97%), as the Algerian hydrocarbon sector currently contributes one-third of the country’s GDP. Algeria aims to generate 22 GW of power from renewables, all available sources combined (solar PV, wind, concentrated solar power, cogeneration, biomass, and geothermal) by 2030. 4 GW of solar capacity was supposed to be operational by 2020, but the much-awaited tender for the project has hit many delays since it was first announced, and may never concretize. “We will not go for [the 4 GW project] in one go, because this involves importing solar PV cells and it is expensive,” declared the Algerian Energy Minister, echoing similarly-worded statements made by Sonatrach CEO. A. Ould Keddour, Sonatrach boss, seems to be one of the least enthusiastic people about renewables, and he doesn’t bring up the word only to dial back expectations while repeating “petrochemical industry” and “downstream” like a mantra. “We still need fossil energy. Yes, we are using more and more renewables, but we are going to use gas and oil for a long period of time,” he said, putting a “long” emphasis on the word “long”. As is any “appointed bureaucrat’s” wont, Ould Keddour (an MIT-graduate) ends on a wooden note, and just can’t help but to resort to populist rhetoric to talk about how he loves Algeria, and how it’s beautiful. Doing your job efficiently, for which you’re handsomely rewarded, is all the “true love” you owe to your country. You can listen to his officialese in the video below. Earlier this year, at the 5th Symposium of the Algerian Gas Industry Association, the CEO of Sonelgaz, the sole utility company in the country, described the “22GW program” as utopic, suggesting instead a total of 15 GW from solar thermal and solar PV as a more realistic target. You know things aren’t going smoothly, and you have to temper expectations, when the three men in charge of the Algerian energy sector, who are supposed to be leading the transition, have this kind of attitude. Algeria is fearing that going full throttle on energy transition will cause a huge drain on its public purse, already crippled by budget black holes. However, money isn’t the real setback. It’s the status quo mentality of the country’s leaders, who bear an inherent fear of any form of change because that might expedite the end of their bureaucratic run. Over three five-year plans (2005-2019), Algeria spent over $750 billion, most of it went to “social programs” to nip any unrest in the bud, and infrastructure projects with little social and economic impact. A fourth five-year plan (2019-2023) is being devised, with an undisclosed amount of money, in which China is expected to be a big partner. How much is allocated to the Algerian energy transition project? Algeria is drawing a meager 4% of its electricity from renewable sources, with natural gas accounting for over 96% of total installed capacity. No matter how you slice it, that’s an abysmal performance for a country that holds all the cards to achieve 100% clean power by 2030, which is not only doable, but also affordable. In a study from the Algerian Rеnеwab𝗅е Enеrgy Deve𝗅opment Center, researchers admit that for “a natural gas producer country” like Algeria, gas power plants remain overall cheaper than solar power plants. However, said authors of the paper, “this choice does not take into account the valuation of savings of fuel and CO2 emissions resulted from the use of renewable energy”. This means that renewable capacities will save us money, while yielding the same amount of energy, with the cherry that’s bigger than the cake being carbon emissions cuts. The feed-in tariff program for solar PV Algeria has initiated in 2014, and the “renewables fund” financed through a 0.5-1% levy on oil tax revenues, for what it’s worth, aren’t making any tangible impact. Sonelgaz is another state-owned company that completely monopolizes the Algerian electricity grid, and instead of being part of the solution, is a problem in and of itself, just like Sonatrach. A key solution for a full-scale Algerian energy transition is by loosening Sonelgaz’s grip and liberalizing the electricity market. By giving private contractors access to the national grid, and incentivizing the use of renewable sources and low-carbon technology, the path towards an Algerian energy transition would be much further along towards meeting its emissions reduction target. What’s more, the country will also save money on investments it traditionally makes every year to put up with the increasing electricity consumption. Another crucial tactic, which sooner or later will become inevitable, is phasing out power plants running on natural gas as they reach their operating lifetime, and plan for their renewable-based replacement to cover demand. Renewables can create more jobs per dollar invested than fossil energy. Algeria has a long history of supporting the use of fossil fuels through massive subsidies that, in 2012, accounted for a whopping 8% of GDP, between natural gas (3.4%), and oil products (4.7%). Besides being unsustainable and having no economic return, subsidizing fossil fuel conflicts with the efforts being deployed for a low-carbon economy. A study, published last February in Nature, found that ending fossil fuel subsidies would have a limited impact on a global scale, but could help fossil-fuel-exporting countries cut more carbon than what they have committed to under the Paris Agreement. That’s one more reason to set up a subsidy removal program, coupled with RE incentives, which could be gradual since scrapping fossil fuel subsidies once and for all might not be an option for Algeria as it could politically backfire. These are just some of the examples of how Algeria and other similar countries can free some funds and reinject them into their fledgling renewable industry. Nature has endowed the country with virtually endless renewable power sources, science back up the viability of clean energy, economic and environmental sustainability stakes call for it, and there’s no better way to invest fossil fuel-generated cash than on clean energy. Yet, Algeria is refusing to get its green engine firing on all cylinders. What other ways can developing countries, especially fossil fuel-reliant ones, fund their energy transition without compromising their progress momentum?